Are you aware of the signs of codependency? Drug addiction, enabling, and codependency often go together hand-in-hand. A codependent person has many characteristics and personality traits which will often-times enable the addict. This enabling can be either intentional or inadvertent, direct or indirect. Codependency is often defined as caring for another person, cleaning up their messes, in a way that is destructive to either the person they’re taking care of or the codependent themselves. The codependent is usually caring for the person in such a way that they consider themselves to be inferior or submissive to the person. They are overly involved and submersed in the person’s life. hat leaves them unaccountable and able to perpetuate their addiction. Fixing your partner’s mistakes is a key sign that you’re enabling them. They are overly involved and submersed in the person’s life. They feel guilty when not complying with the other person. 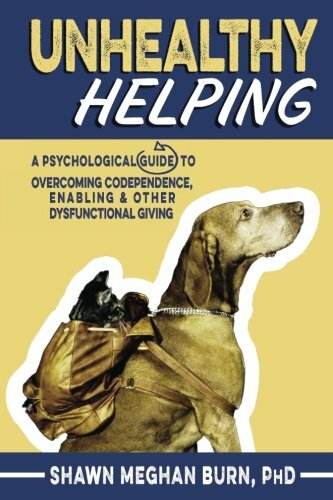 The codependent even submits themselves to abusive, controlling, and dominating behavior. All this, in turn, leads them to acts that “enable” the addict to maintain or fuel his current addiction. These factors are often intertwined and contribute greatly towards the self-destructive habits of addiction. Both an addicted substance abuser and a person enabling his addiction are self-destructive. They each harbor a significant amount of denial about how the addiction and self-destructive behavior are affecting them. Due to the extreme emotional swings a relationship involving codependence and addiction, there are a huge spikes allanxiety, depression, tension, and other destructive habits. The codependentperson may be addicted to non-chemical substances such as food, cigarettes, etc. ), family, financial, and work situations. These habits of the codependent person will generally help both the codependent person and the addict to continue to self-destruct. Addressing and acknowledging the fact that one is a codependent person is the first step in beginning to treat oneself and overcoming these habits; the following questions can help you to determine whether or not you engage in this type of behavior, and are followed by a number of sites which you may reference for additional treatment options, how/where to seek treatment, and further recommended resources. An inability to know what normal is/have trouble defining own sense of reality. A need to define yourself solely through the relationship of the another person. A tendency to put everyone else’s needs above your own – little or no regard or priority for one‘s own needs, emotions, etc. (in relationships you are happy only in the role of a caretaker). An avoidance of acknowledging or discussing one’s own feelings. Problems with intimacy – this may include trouble developing or sustaining meaningful relationships. A need to constantly seek approval and affirmation, yet having compromised sense of self. A need for perfectionism, applied to both self and others – this may include judging self, others without mercy. Difficulty in relaxing or having fun. Physical illness related to stress (this may include ulcers, heart diseaase, high blood pressure, hypertension, or insomnia). A general distrust of others. Difficulty in accepting compliments . Difficulty in concentrating for long periods of time or focusing on projects or topics not related to the other person. An inability or difficulty in making your own decisions. A fear or dislike of change. A tendency to seek relationships with those that are “victims“ yet also abusive, controlling, and possessive. In many cases, enablers try to minimize the situation and make it seem less significant. This makes it easier for them to not take action. If it’s not a big deal, why put yourself out? Well, it IS a big deal. Do you play down what is really happening with your partner? Has your sense of perspective and proportion been twisted? Get some feedback from someone outside the situation who can see things objectively. Are you getting sneaky? Do you hide what is happening from your family and friends? Are you engaging in a cover up by telling everyone everything is ‘just fine’?. What Are The Origins Of Your Codependency? Your Family Of Origin And Environment May Hold The Answer. Codependency is a learned behavior. It can be viewed as a maladaptive defense mechanism. It is a faulty way for a person to get their needs met. These usually grows out of an unstable or dysfunctional childhood upbringing or environment. The expression of emotions of any sort was frowned upon and discouraged . You may have been encouraged to keep feelings inside and “be strong”. There was a high standard of perfection within the family. The atmosphere was always tense or rigid. Encouraged to be seen and not heard. Encouraged to “get along” or not make waves.do not cause disruption or rock the boat. A necessary skill for those both in addiction and codependency recovery is to manage uncomfortable emotions. One of the biggest defense mechanisms in both codependency, enabling, and addiction is to “normalize” emotions that are really way out of normal bounds. Both codependency and addiction are disease of isolation. That means there are fewer and fewer people to balance what is going on offer. One of the most common concepts of codependency is that a codependent does not know what normal is. My feelings do not really count that much. My feelings are not as important, deep, or as exciting as someone else’s. My problems do not matter in light of someone else’s. I am not allowed to have fun. Another persons’ feelings and actions are mostly my responsibility . I am lost without another person to give attention to. If you have any of the above symptoms you may benefit from any treatment which directly addresses these issues. It is definitely possible to treat codependency. Treatment is available and often successful in helping the person to break free from codependent personality traits. They can learn to help the substance user in a productive way. or if needed, to break free from an addict who does not wish to help himself. it is also possible for a codependent to learn how to establish relationships with non-abusive persons. Learning to use one’s energy and emotional resources in a more healthy and productive manner will result in greater well-being. This will produce less stress and stress-related symptoms, and more positive and uplifting relationships. Oftentimes a codependent person is as powerless over their codependent habits, and as destructive, as an addicted person himself. Seeking treatment for codependency and to free oneself of these problems (i.e., the never-ending stress, misery, and self-destruction which inevitably come along with these habits) can be one of the most significant steps that one can take. Please recognize that you are not actually helping either the other person or yourself with this manner of “caregiving”, nor is your life progressing in a direction that is beneficial or positive. Actual caretaking should not be constantly depressing, stressful, or hopeless; continuing in this type of relationship is basically a continuance of covering up one’s inner feelings of denial, anger, shame, un-worthiness, etc., and an overall stagnating of one’s life. Please seek help today if you would like to begin to overcome these issues. Addiction Is A Family Disease (NCADD) Addiction is a family disease that stresses the family to the breaking point. Living with addiction can put family members under unusual stress. Enabling drug or alcohol use involves helping another person avoid the natural consequences of their negative behaviors. Enablers inadvertently support their partners destructive behavior by helping the negative behaviors to continue. This can create a crumbling, unhealthy relationship. There’s an old saying about enablers “loving” someone to death. Essentially, this means that the enabler is making excuses, fixing or repairing the path of destruction and active alcoholic or drug user leaves behind them. They think that is showing love and concern. the reality is there are certain facts about addiction they don’t quite understand. If there is any doubt about the seriousness of your loved ones use there are signs of drug addiction and alcoholism to look for. A person who is an addict, gambler, or involved in other negative situations and behaviors often gets support from their partner. In fact, this is an ideal situation for an addict. They consciously or unconsciously will seek out and get into a relationship with an enabler or co-dependent to facilitate their negative behaviors. If their messes are being cleaned up behind them, that leaves them unaccountable and able to perpetuate their addiction. Fixing your partner’s mistakes is a key sign that you’re enabling them. Do you clean up their messes and make up excuses for them? Do you help them with every little task? If your mindset is ‘I’ll just do it myself because it’s less trouble’ than talking to them and holding them accountable, you may be a bit of trouble. Enablers will often give money to an addict or cover up their issues. They may also help them with work or lie for them. 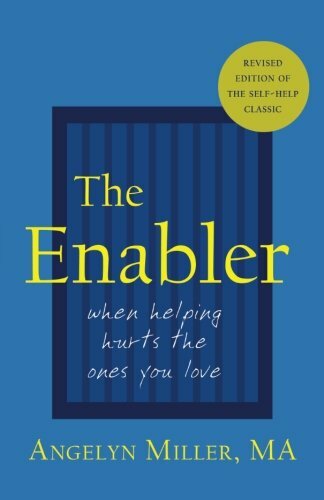 Enablers go out of their way to fix their partner’s issues and take over the responsibility. If you are giving an addict or alcoholic money you have just financed their next high. Enablers become a buffer. An enabler becomes a buffer, shielding the user from consequences. They bail them out of jail, lie to employers, forgive outrageous behavior. In a word they make it easy for an addict to continue to use without suffering all his consequences. 2. You Do Everything To Avoid Conflict. Do you try to stop conflict by ignoring issues? Are you like an ostrich hiding your head in the sand waiting for the drama to pass? Are you in denial or minimizing the problems? Do you stop arguments and walk away? Are you the perpetual peace keeper not wanting to rock the boat or poke the bear with a stick? The breakdown in communication gets worse over time, just like drug use. Are you afraid that arguments will set them off and ‘make’ them use? The reality is you didn’t cause their addiction and you can’t control it. If they say ‘you make me’, it is simply emotional manipulation and black mail. They make themselves use, not you. 3. You Give Them An Endless Number Of Chances. Although enablers frequently realize they shouldn’t do it, they still offer an endless number of chances to their partners. There is an old cartoon where a character draws a line in the sand and dares the other guy to step over it; he does. The first guy then draws another line in the sand and makes the same statement, the other steps over it. This goes on and on as they move on down the road with lots of lines being drawn and stepped over. Sound familiar? Do you keep giving chances despite them not complying? This is like the old saying of a person that keeps doing the same thing over and over expecting different results – it just isn’t going to happen. But – it’ll be different this time. Come on, get real. Acceptt the fact that words at this point mean very little. Look for changes in behavior. Based on their behavior, not words, does giving them another chance work? Be prepared to hold the line. By giving them another chance and letting them get away with non-compliance, what you are really teaching them is that your word means nothing. If you say ‘next time I won’t bail you out – don’t. Stick to your guns (and prepare for a tantrum). 5. You Enjoy Taking Care Of Your Partner. Partnership is wonderful. They should be taking care of their stuff; you should be taking care of your stuff. You should both be taking care of partnership stuff. Even though you know that their negative behavior is dangerous and risky, you find joy in being able to take care of them. You like that they need you and depend on you. Addiction knocks everything out of balance. Am enabler finds them selves taking over all 3 role and trying to madly juggle everything. It works for a while, then everything crashes. Enablers often treat their partners as if they are children. They may deserve it, but wait a minute, this is supposed to be an adult relationship. is like the old saying of a person that keeps doing the same thing over and over expecting different results – it just isn’t going to happen. Do you enjoy being a martyr? Some people only get value for themselves by taking care of others or trying to change them. Women often ask ‘why am I attracted to bad boys?’ The answer may be because it is a big challenge. Enabling is a harmful technique that hurts relationships. Are you so busy protecting your partner that you allow them to continue an addiction or other issue? Take steps today to get help and family support for yourself as well as for your partner, before it’s too late!